APO Group (www.APO-opa.com), the main Official Partner of Rugby Africa (www.RugbyAfrique.com), today announced a jersey sponsorship with World Rugby’s African association. As part of the sponsorship programme, APO Group's logo will be featured prominently on the referee uniforms for the final games at the climax of the Rugby Africa Gold Cup competition, a qualifier for the 2019 Rugby World Cup. APO Group's logo will appear as a patch of 12 inches by 7 inches on both the front and the back of match referees' jerseys. Centrally placed for maximum brand visibility, it will adorn both the green and sky-blue versions of the new jerseys which also feature Rugby Africa’s branding. “Our collaboration with APO Group exemplifies what we believe our sponsorship programmes should be”, said Abdelaziz Bougja, Chairman of World Rugby’s African association, Rugby Africa. “A win-win partnership that both benefits our sponsors and the organizers of Rugby Africa’s international competitions - including our referees without whom we couldn't host such an event. The jersey sponsorships are unique opportunities to leverage our assets to add meaningful value to our sponsors while equipping our teams and referees with the latest professional kits”. Founded in 1986, Rugby Africa (www.RugbyAfrique.com), formerly known as the African Rugby Confederation, is one of the six regional associations of World Rugby, the international body that manages rugby 15s and rugby 7s. Rugby Africa brings together African nations playing rugby 15s, rugby 7s and women's rugby. 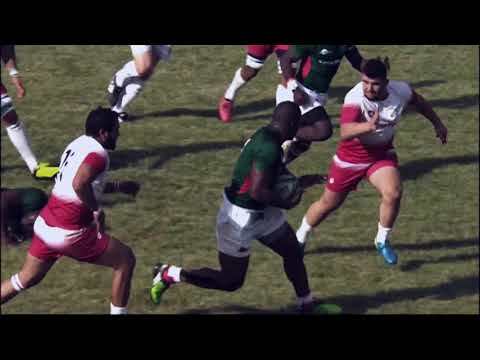 Rugby Africa organizes the Rugby Africa Gold Cup, qualifying competition for the 2019 Rugby World Cup and Africa 7s, qualifying competition for the 2020 Olympic Games. Rugby Africa has 38 members, including 22 members or associate members of World Rugby, 10 members or associate members of Rugby Africa and 16 new countries working with Rugby Africa. APO Group unveil the referee jersey of the Rugby Africa Gold Cup’s final games APO Group logo patch to appear on all referee jerseys during the final games of the iconic Rugby Africa Gold Cup 2018 - qualifier for the 2019 Rugby World Cup LAUSANNE, Switzerland, August 1, 2018/APO Group/ -- APO Group (www.APO-opa.com), the main Official Partner of Rugby Africa (www.RugbyAfrique.com), today announced a jersey sponsorship with World Rugby’s African association. As part of the sponsorship programme, APO Group's logo will be featured prominently on the referee uniforms for the final games at the climax of the Rugby Africa Gold Cup competition, a qualifier for the 2019 Rugby World Cup. APO Group's logo will appear as a patch of 12 inches by 7 inches on both the front and the back of match referees' jerseys. Centrally placed for maximum brand visibility, it will adorn both the green and sky-blue versions of the new jerseys which also feature Rugby Africa’s branding. Rugby fans will also see World Rugby’s logo embossed on the right sleeve and the inclusion of Rugby Africa’s twitter handle “@RugbyAfrique” and Facebook logo on the left one. On the chest are both Rugby Africa and African Flair logo patches of 3 inches by 2 inches. Elegant and professional, and displaying authentic workmanship, the shirts incorporate a white neck collar with African Flair’s sponsor logo on the back. The new collection is quick-dry, lightweight and breathable and is made out of 100% hydrophilic polyester fabrics to provide maximum comfort for the match officials. With their body-hugging fit, the new jerseys ensure elasticity and softness and deliver optimum movement. “Our collaboration with APO Group exemplifies what we believe our sponsorship programmes should be”, said Abdelaziz Bougja, Chairman of World Rugby’s African association, Rugby Africa. “A win-win partnership that both benefits our sponsors and the organizers of Rugby Africa’s international competitions - including our referees without whom we couldn't host such an event. The jersey sponsorships are unique opportunities to leverage our assets to add meaningful value to our sponsors while equipping our teams and referees with the latest professional kits”. “Having a logo placed on referees’ jerseys is an asset of a huge magnitude,” said Nicolas Pompigne-Mognard, Founder and CEO of APO Group. 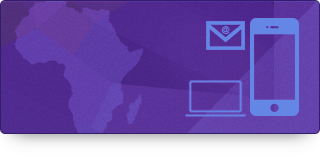 “It optimizes an organization’s brand visibility at a large scale in both Africa and the rest of the world. The Rugby Africa Gold Cup is THE competition followed by millions of fans whether it is on TV, radio or social media. For brands looking to build awareness, loyalty and deeper engagement with local audiences, this single sponsorship solutions offer tremendous exposure.” Big brands expanding their footprint in Africa have already expressed strong interest in sponsoring the Rugby Africa Gold Cup, the Africa Rugby 7s competition and CSR initiatives. Designed to appeal to all budgets, the sponsorship programmes offer brands an opportunity to get into the game while it is booming and support African youth, women and the next generation of leaders. Results, free Broadcast quality B-Roll footage, pre-recorded interviews and photos will be available for media to download after each games. REGISTER to receive the results, B-Roll and photos or to request an interview: https://goo.gl/SFGJfA Photos will also be available on Getty Images. Getty Images is already displaying images from the early matches of the 2018 Africa Gold Cup: www.goo.gl/mmcD1y Download the fixtures: www.goo.gl/iw6ALM Key figures about rugby in Africa: https://bit.ly/2AtxkLc Distributed by APO Group on behalf of APO Group. Rendered in 0.6640 sec. using 5.76MB.